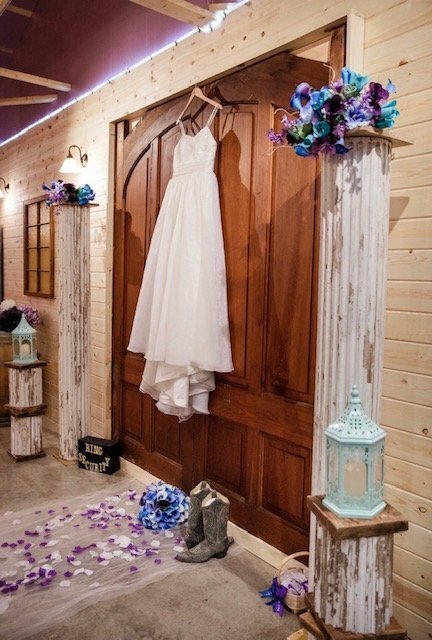 The Magic of Midnight is a new Wedding and Event Venue at 124 Swinging Bridges Road, Brumley, MO 65017. The building is equipped with heating and A/C so it can be utilized throughout the year. The outside of the venue is rustic with a little bit of a home feel with the front and back porches that you can sit and relax on. The inside of the barn has open ceilings with a little bit of an industrial feel. There are so many different ways that this venue can be used from rustic/country, to industrial, urban, and even a princess magical feel. From the inside to the outside of the unique place it will take your breath away. As you walk into the main room your eyes will flow to the unique antique doors and pillars at the altar, ready for you to say your vows. The breathtaking antique bar that takes up almost one whole side of the wall is just stunning to look at. I can only imagine the stories that it would tell if it could speak. 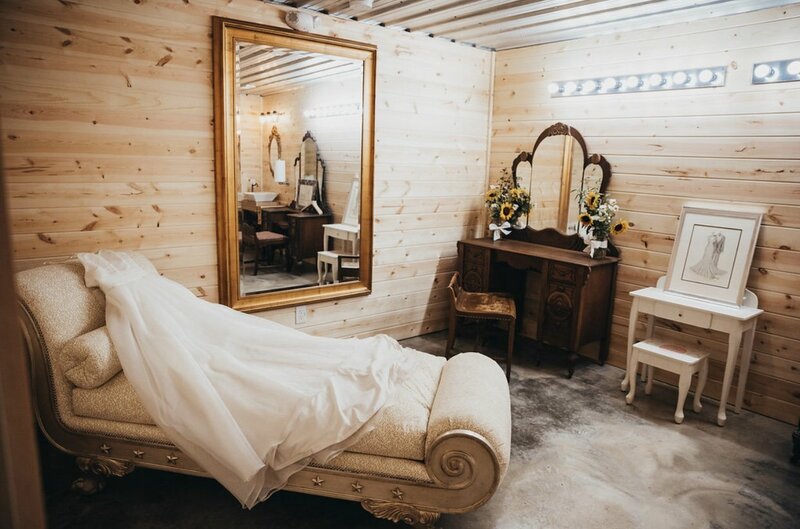 The bride’s room is just perfect for your special day. From the unique sewing machine faucet to the chaise lounge for them to relax on and enjoy their day. And to make you’re flower girl or miniature bride feel even more special on your day has her own little vanity station to use. 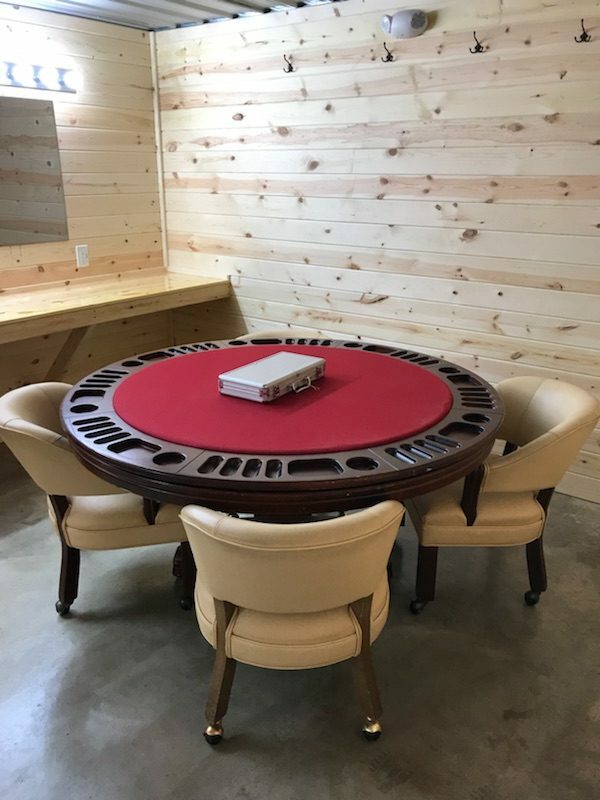 The groom’s room is just absolutely perfect from the poker table for the guys to sit around and remember all the good times that they had and are yet to come with new adventures in the making. Our goal is to work with you to make sure your wedding/event is one of the happiest days of your life. We have many different options for you to choose from. We are willing to customize options to fit your special day and work with you in anyway, that we can to make the process smooth for you. The Magic of Midnight is ready now for your upcoming wedding/event. We look forward to being able to work with you on your special day rather it be a wedding, baby shower, wedding shower, reunion, or prom.